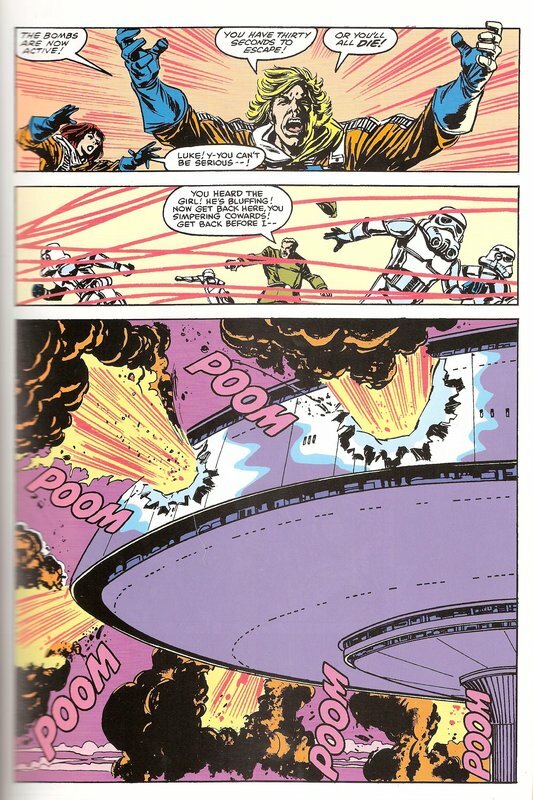 I've been reading Marvel Star Wars. It's much better than I expected it to be, especially past the first few issues. It's just fun. Also, Leia is a troll. 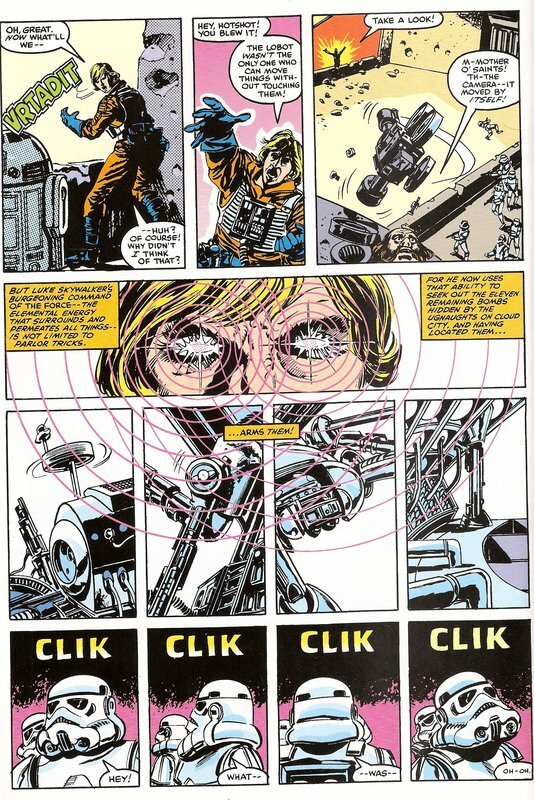 Part of a page from Star Wars Annual 1: The Long Hunt/A Duel of Eagles. 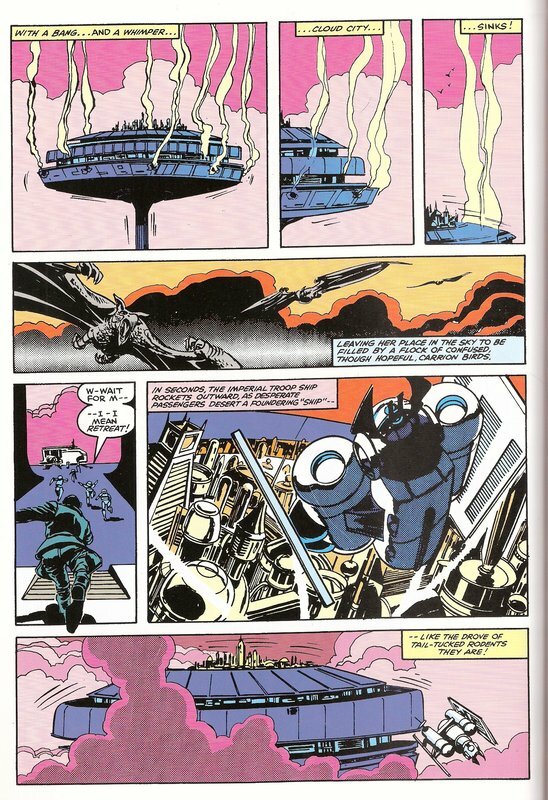 After that is five pages from another issue. ...and Luke's prudish, apparently. I guess it can't be helped, given his homeworld. He is also a bit of a troll himself. Five pages from Hello, Bespin, Goodbye. That woman he's with is his wing guard, Shira Brie, who... has some importance in the 'verse. I'm not sure I'd call Luke prudish, the reasons he cites are entirely practical and sensible for a Tattooiniinneenanniennnnan (Not sure what the inhabitants would be called; Tattooes? Toons?) rather than any reflection of disapproval on moral grounds. He's worried about the poor lady's health and wellbeing. It sounds prudish because he called it “daring”. I guess you could argue he find it literally “daring” in the sense of dangerous for your health, but it does set up the joke. Umm, no I don't think she was, she was just suggesting that she had skimpier outfits in her own wardrobe. I've seen them referred to as Tatooiners in some of the secondary canon (novels, etc). Am I the only one who heard the words "W-Wait for m-. I-I mean retreat!" in the voice of Chris Latta? Well, NOW I do... and it is good! 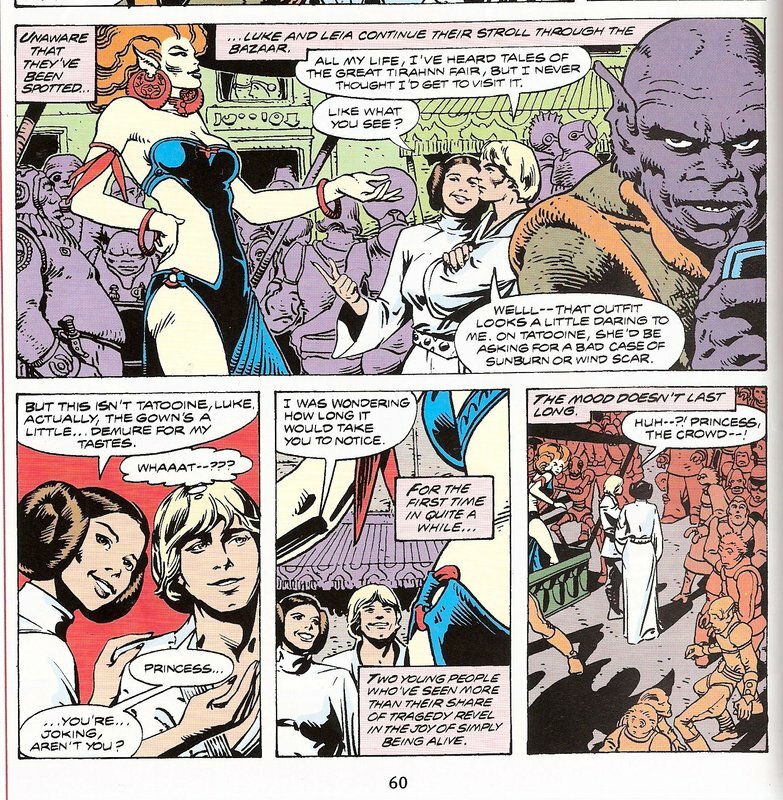 Please post the one where the gay fanboys redesign Leia's dress. Please, please, please! Haven't gotten that far yet. When I do, though, sure. 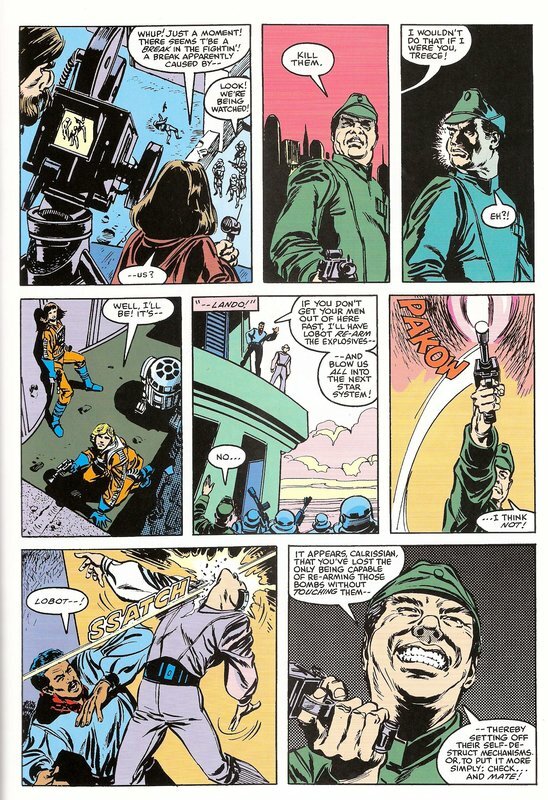 Mid-70s to mid-80s comics? Yes, they were, weren't they. The Marvel series isn't bad at all once you get past the goofy Roy Thomas issues, which are more fun to read about than read. After Empire and the ensuing characterization thereof, they're pretty solid the rest of the way. And it contains some of the few EU examples of Threepio being written well.